* On March 2, 2017, Sumitomo Heavy Industries signed an agreement with Amec Foster Wheeler to buy its core fluidized bed boiler business to form Sumitomo SHI FW. Amec Foster Wheeler’s advanced bio CFB technology is taking 100% biomass firing to utility scale levels. In 2012, the world’s largest 100% biomass fired CFB boiler burning wood residues with up to 20% agro-biomass was commissioned at the GDF Suez Energia 205 MW Polaniec Power Station in Poland. Despite a wide range of agro wastes in the fuel, the advanced bio-CFB technology has enabled the plant operate at very high efficiencies (36% LHV) and low emissions compared to typical biomass grate boilers. More recently, Amec Foster Wheeler’s 105 MWe unit at the Danging power station in South Korea began operation in 2015. This multi-fuel unit fires a combination of palm kernel shells (PKS), wood pellets and coal. The trend for larger more efficient biomass plants continues with the recently awarded 300 MWe Tees projects in the UK. In this informative webinar, Timo Jantti, Head of Global Technology for Amec Foster Wheeler, will review each of these biomass CFB projects as well as the advances in CFB technology which make these projects possible. 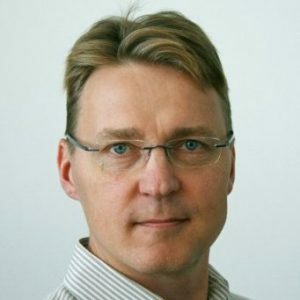 Timo Jäntti has been working in Amec Foster Wheeler since 1995. The current position is VP, Global Technology. Timo is responsible of Technology and Technology development in Amec Foster Wheeler Energia Group.